Retirement is expensive. To maintain your standard of living when you stop working, it is estimated that you will need at least 100 percent of your pre-retirement income with inflation or more. Retirement planning is about managing your money today so that you can make the most of your retirement period. Your retirement plan should balance your needs, wants and the reality of your finances. So take charge of your financial future. The key to a secure retirement is to plan ahead for your retirement. A strategy for how you save today can make a big difference in how much money you will have after your retirement. A solid retirement saving plan charts out methods of creating retirement income and creates a roadmap to help ensure that your money will last as long as you do. You should designate an amount of your pretax income to contribute to your retirement savings on a monthly or bi-weekly basis and have it taken out of your salary, just like your taxes. It's easiest to save money when you don't have it in your hands; you're effectively taking the decision of whether to save that money out of your control. If you are already saving, whether for retirement or another goal, keep going! You know that saving is a rewarding habit. If you're not saving, it's time to get started. Start small if you have to and try to increase the amount you save each month. The sooner you start saving, the more time your money has to. Make saving for retirement a priority. Devise a plan, stick to it, and set goals. Remember, it's never too early or too late to start saving money. Usually when we are working and earning good money we tend to indulge in purchase of goods and luxuries which may not have a long term use. Therefore it is necessary to assess before buying anything whether you will actually need it. This way not unnecessary expenditure can be curtailed but also it will contribute to your savings for your planned goals. 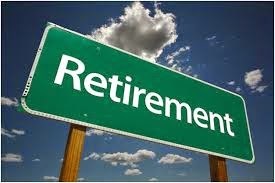 You can put up to 5000 a year into an Individual Retirement Plan; you can contribute even more if you are 50 or older. You can also start with much less. IRPs also provide tax advantages. The tax treatment of your contributions and withdrawals will depend on which option you select. IRAs can provide an easy way to save. You can set it up so that an amount is automatically deducted from your savings account and deposited in the Individual Pension Plan. The best method to save money for your retirement planning is to join the retirement options provided by your employers and contribute to it as much as possible. The options provided for retirement are usually much deliberated upon and offer the best returns on your savings. Moreover it is easy to handle and safe investment for the retirement. Investment in a house can be a sure shot success method for savings for your retirement planning. The returns on real estate investment have been stupendous over a long period of time. In your working life, you should consider investing in a second house if you already own a house for accommodation. Owning a second house will provide you with a cushion for your retirement as it can be disposed off any time to meet your unexpected financial needs. If you were to die unexpectedly during your working years, your family would not only suffer the loss of your income for day-to-day needs, but also the nest egg you would continue to build for retirement. Life insurance can provide for both your family’s current lifestyle as well as your survivor’s plans for retirement. The permanent life insurance you use to protect your loved ones can be another possible source of income in retirement. Permanent life insurance accumulates cash value that grows tax deferred. If you no longer need the full death benefit after you retire, you can access that cash value to help supplement your retirement income. You want to diversify among different asset classes and underlying investments to manage risk, but if you are duplicating the same investments with numerous vendors, you’re probably overpaying fees and that can impact your bottom line. Look for ways to get a little more growth without more risk than you can tolerate. If you choose only the most conservative investments for your retirement savings, your savings may not grow fast enough to give you the income you need after you retire. Follow the sound and prudent methods of savings and investment for retirement planning and enjoy the sunset days of retirement.